Social capital has been previously introduced using a mandala to provocatively evoke thoughts of a web of interconnections forming a pattern of relationships. This kaleidoscopic perspective remains true today as we continue to explore the complexities associated with the construct known as “social capital”. This construct is unique in its ability to span boundaries, engage multiple disciplines, and global contexts. The web involves individuals, organizations, communities, and societies; it analyzes the dynamics involved as these various aspects interact with each other. The linkages have the capacity to bond or bridge individuals. As connections form, the depth and breadth of one’s social capital morphs. This prompts a shift in perspective that offers new and fresh ideas and experiences. In this collection, we expand the constellations of networks as we move from theory, measurement and outcomes to implore various global perspectives, management strategies and their effectiveness. Indeed, most would agree that social capital emerged out of sociology. However, it has evolved into a mature field of study with lots of uncharted territory still open for exploration (e.g., Kwon & Adler, 2014). This present collection, Social Capital: Global Perspectives, Management Strategies and Effectiveness, is vast in the domains covered, methodologies employed, and perspectives presented. 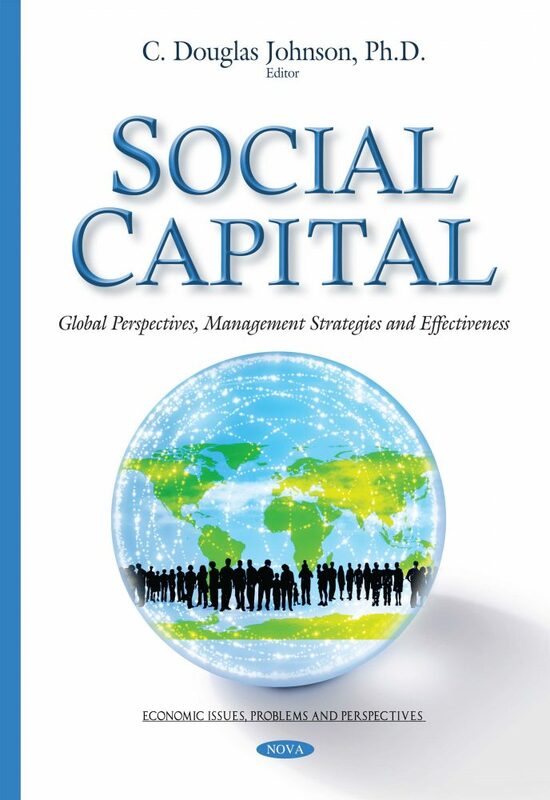 The strength of the book is its interdisciplinary, multilevel, and global approach to examining social capital.